Tim has always been involved in active sports such as, rugby Union, white water kayaking, squash, horse riding and mountain biking, being a few, but it wasn’t until the grand age of thirty that the climbing bug hit hard. Having completed numerous long distance hikes, the allure of the wilder country was unavoidable with the climbing harness became a regular companion. With a young family, climbing venues were usually either in the Yorkshire Dales, the English Lake District, Scotland or Europe. While still in the Fire Service he acquired a taste for the higher mountains, Kilimanjaro was the first and was one of several adventures completed as charity fund raising events, trips to South America and Borneo being others. Following his retirement from the Fire Service, Tim has climbed in many parts of the world. Notably, he is a Seven Summiteer, one of a very few mountaineers who have summited the highest mountain on each of the continents. He is also an ‘eight’ Seven Summiteer, choosing to summit both Kosciuszko in Australia and Carstenzs Pyramid in West Papua in recognition of the debate attached to the claims of each. He was probably the first ever climber to summit the ‘eight’ on first attempt, an achievement accomplished by determination and favourable weather. 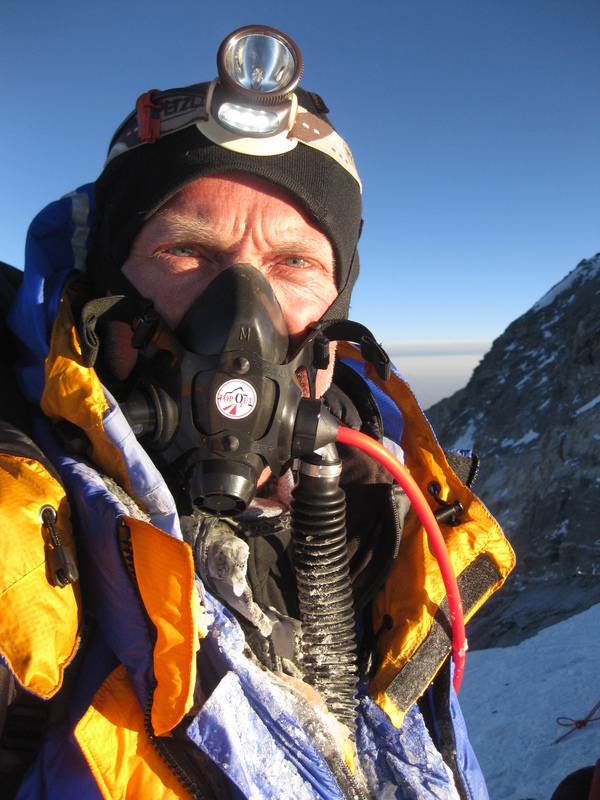 Summiting Everest on May 23rd 2010, he is also believed to be the oldest British Seven Summiteer. Tim has become a regular visitor to Nepal and Tibet, climbing Ama Dablam (the Himalayan Matterhorn) and Cho Oyu, with plans to return to climb such mountains as Baruntse. This year has seen him summiting the Ecuadorian volcanoes of Cayambe, Cotopaxi and Antisana, with climbs planned in Chamonix and a traverse of the Matterhorn. Future plans include expeditions to Mount Logan in the Yukon, Canada and the Russian Snow Leopard 7000m mountains.